As I set about thinking about what I wanted to do with my students this year, I thought about a project that I really thought was meaningful to my students previously. This was my Tinkercad Design project that I did with my students. As with any unit or project there were certain things I wanted to change and update about it, so I thought I would give it a shot at my new school with a different group of students and a different set of resources. What ended up happening as I revised, changed and remixed this project to something more fitting for my current environment, I realized that a different portion of the project became more emphasized. I wanted the students to connect, and give each other feedback and have a chance to make changes based on the feedback they receive. I feel like this idea of creating a network of peers who can share ideas and communicate was a central idea in this first course. So, unlike before, it’s not design something quick and be done, but take your time, make changes, tinker, listen to what other people are saying, and tinker some more. I feel like this would be a great beginning for students to realize the power of networks and communities to further their learning experiences. So what is this project? It begins initially through teaching geometric concepts. Names of 2D and 3D shapes in conjunction with other terms like parallel, perpendicular, equilateral etc. The students then take this understanding to describe objects in every day life. 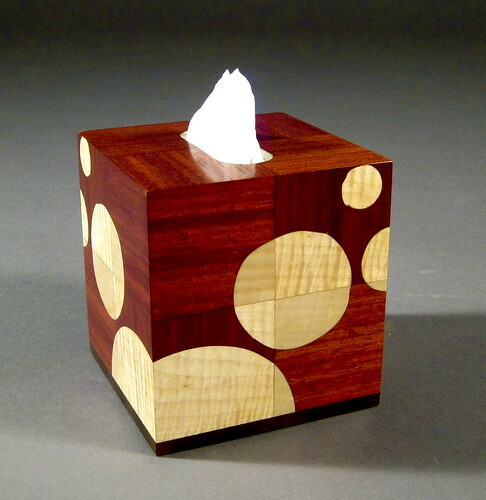 For example, a student may choose a tissue box like the one below. The student would describe this object using mathematical terminology like, “a face on this tissue box has four right angles.” Or something like that. They look for other examples of tissue boxes and reflect on why tissue boxes are shaped in rectangular prisms. They then get to make a digital 3D model of the object using Tinkercad and change one thing about it. The students then describe the change they made using mathematical terms like, “I made one of the angles on the faces an acute angle.” They then must reflect on how the change they made would change how people who use the object interact with it. They will also put this on a shared Tinkercad account so that their classmates can give comments on how they can make their object even better. A few iterations later, the student creates an advertisement poster that highlights what makes their newly designed object better than what’s common. Here’s a link to the UbD plan for this project, or you can scroll through the document below. Next: Next post: Global Collaborator… Fail…? Awesome! Love the first essential question – you’ve really got me thinking, just with that! Would love to see some of the finished examples when they’re ready. I’m also curious about how the students shared feedback with each other.